Deduce crime in the seemingly quiet village of Sanford with Police Constable Nicholas Angel. From Hot Fuzz, created by Edgar Wright and Simon Pegg, bring home your favorite character as a stylized vinyl figure. 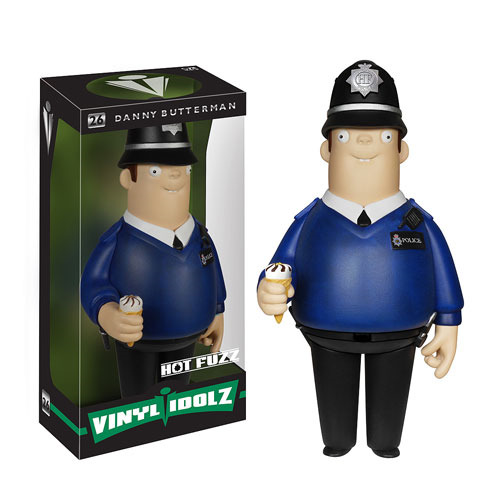 The Hot Fuzz Danny Butterman Vinyl Idolz Figure measures approximately 8-inches tall and comes packaged in a window display box. Ages 14 and up.